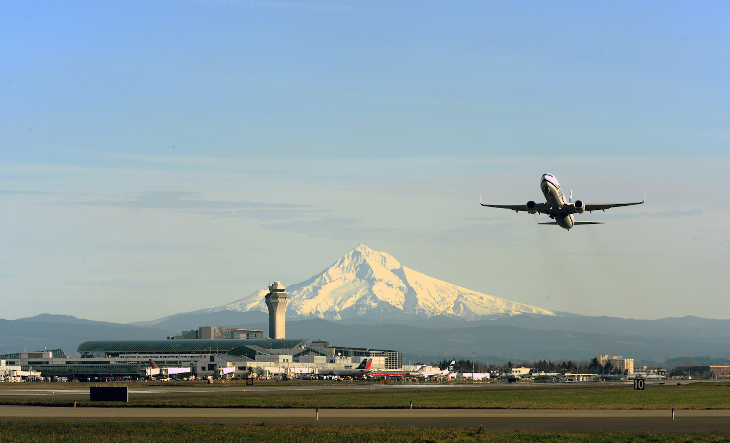 Is Portland America’s best airport? 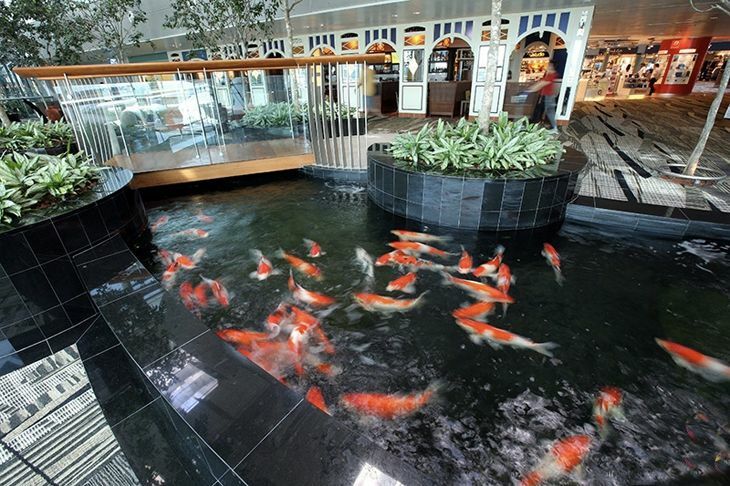 The nation’s favorite large airport, according to the poll of 39,000 North American travelers? 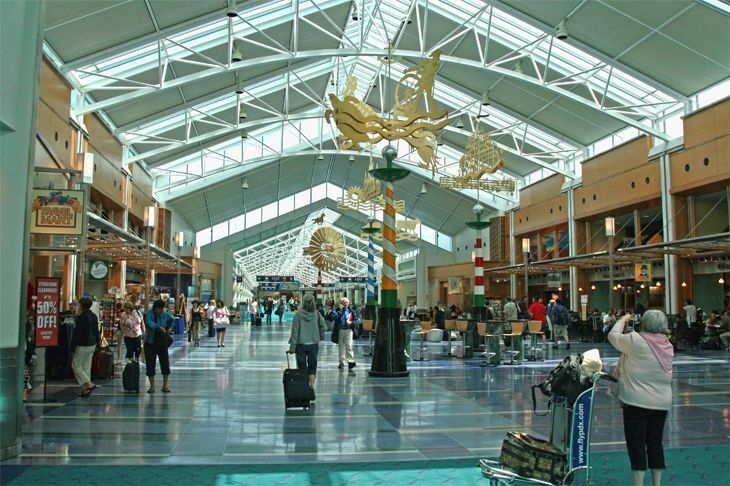 It’s Portland International (PDX), for the second year in a row, scoring 786 on a 1,000-point scale. 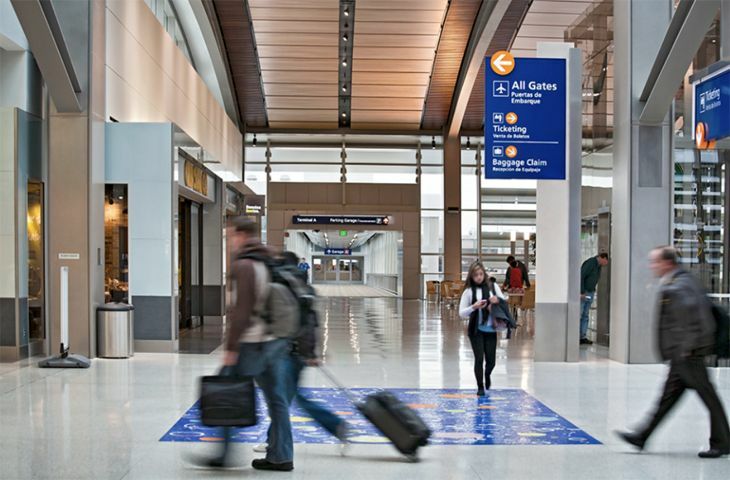 In its 11th annual survey of traveler satisfaction with U.S. airports, J.D. 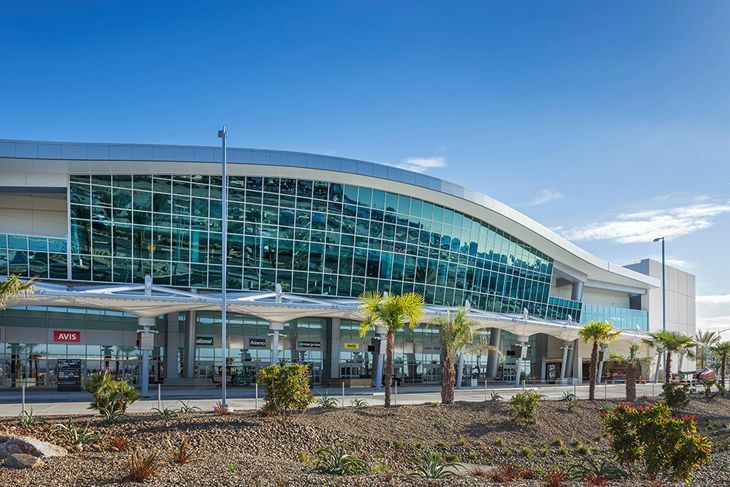 Power and Associates found that customers are a little happier overall with the airport experience than they were last year – but the company suggests that may not last, as some facilities are embarking on huge construction projects that will impede passenger access. Tampa came in second (775) and Las Vegas McCarran ranked third (759). 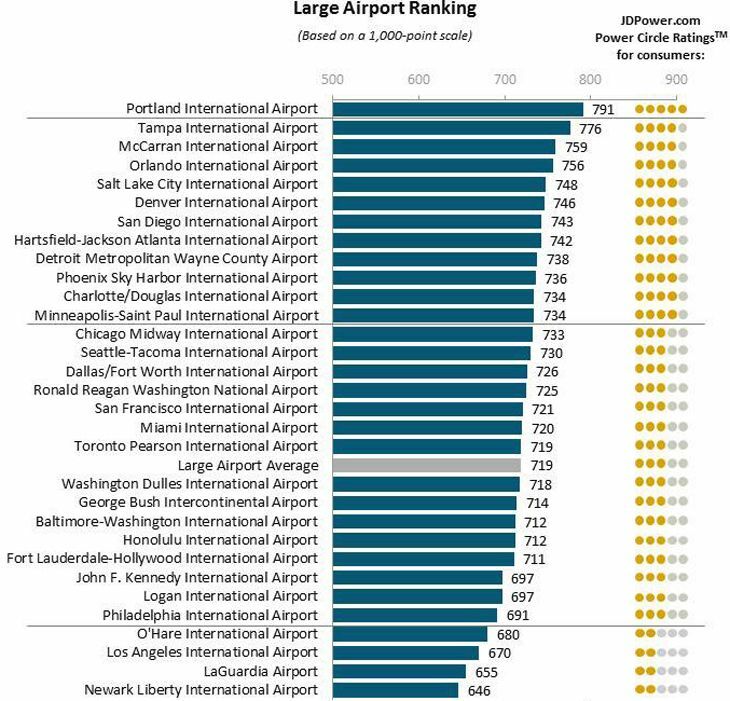 The lowest satisfaction score among the 31 large airports in the study went to New York LaGuardia (649), just below Newark Liberty International (669). 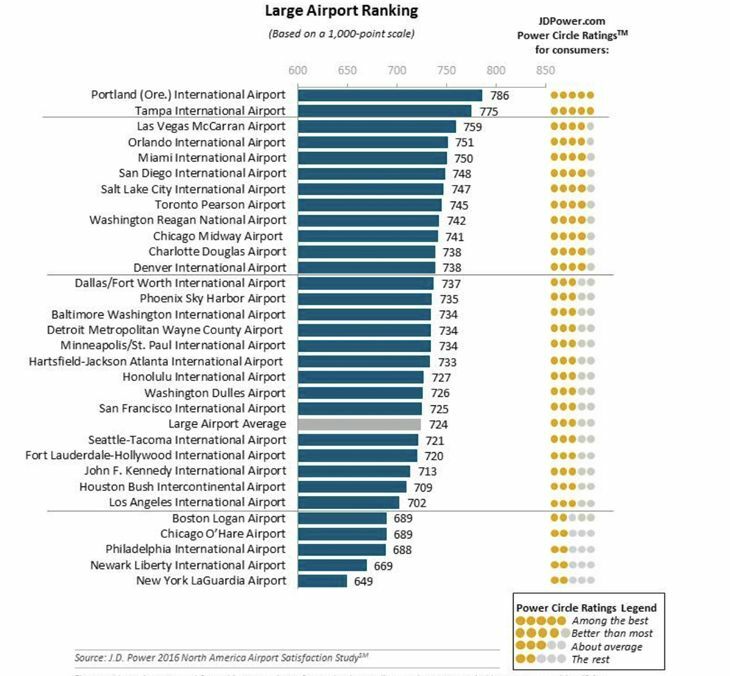 Also ranking in the bottom five were Philadelphia, Chicago O’Hare and Boston Logan. The average score for the group was 724, and San Francisco International barely topped that at 725, while Atlanta Hartsfield-Jackson rated 733. 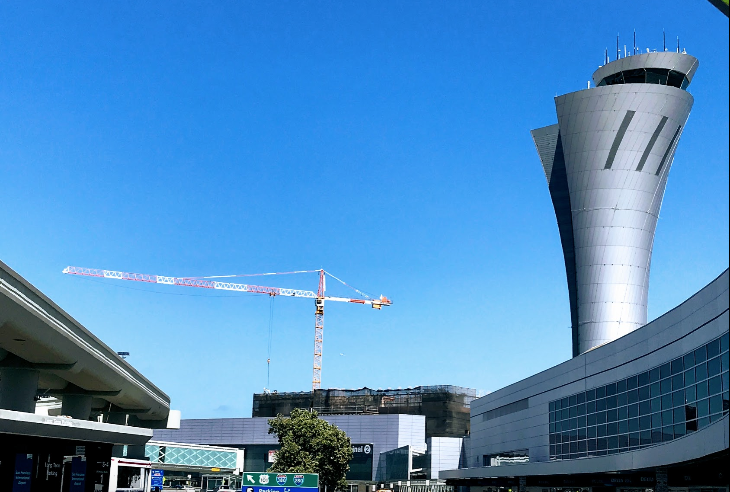 Los Angeles International was sixth from the bottom at 702. 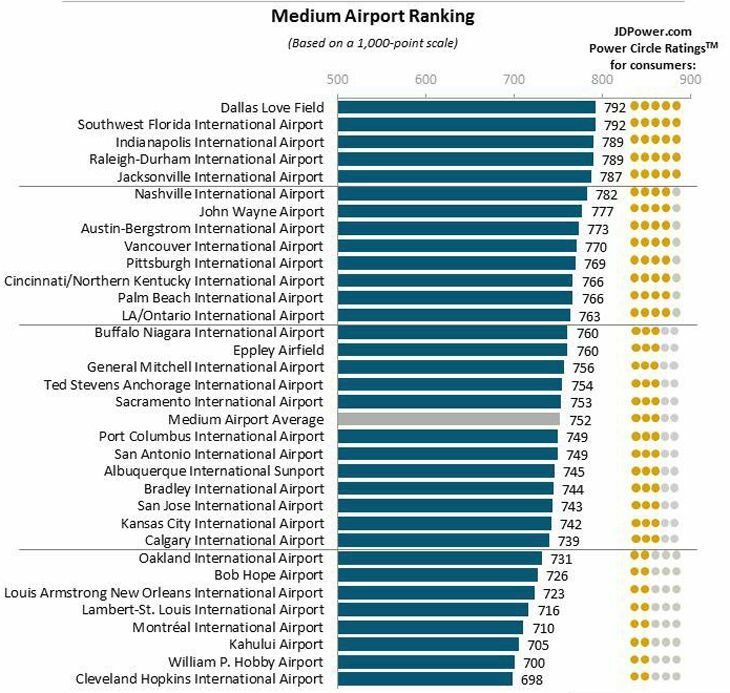 Among medium-sized airports, the top three, in descending order, were Indianapolis, Buffalo and Ft. Myers/Southwest Florida. 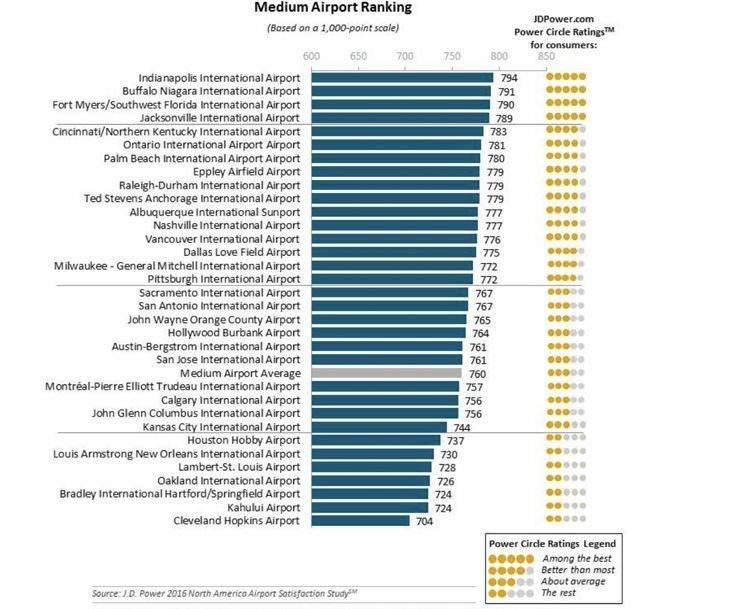 Cleveland Hopkins was dead last with a 704 score, just below Maui’s Kahului and Connecticut’s Bradley International, both at 724; and Oakland International, at 726. 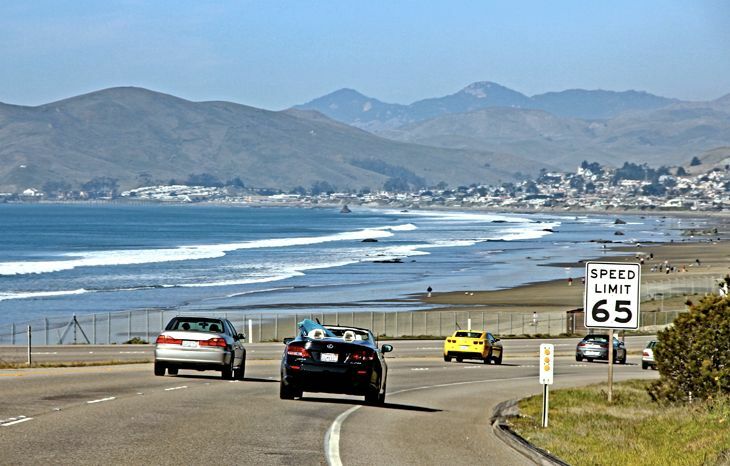 Ranking slightly above the median score of 760 were San Jose at 761 and Orange County/John Wayne at 765. J.D. 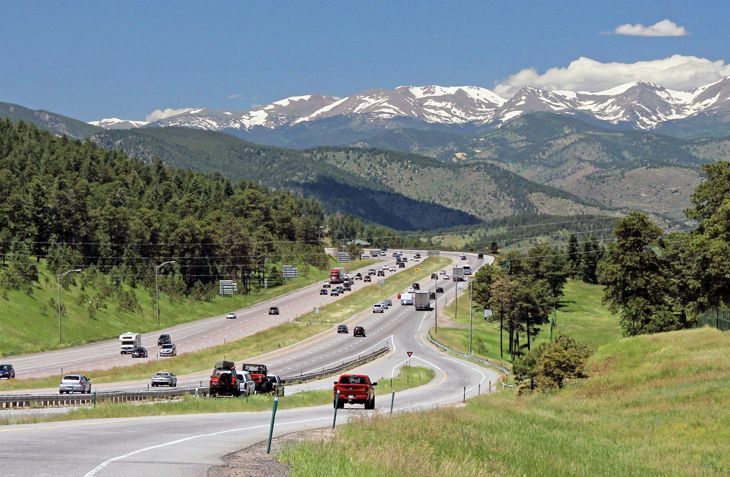 Power noted that the overall increase in the average satisfaction score — 731 this year vs. 725 in 2015 —came despite increased passenger traffic of 5 to 6 percent nationwide. But the polling firm warns that passenger satisfaction could be damaged by big construction projects in the works at some major airports. 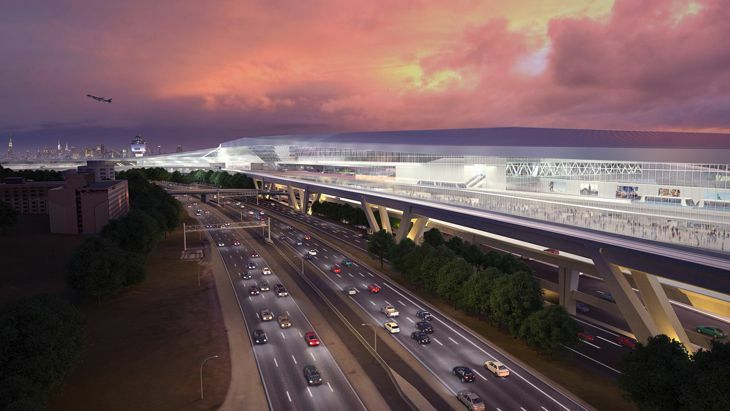 “This heavy construction will make it more difficult for travelers to access the airport and, once there, it will likely make it even more difficult to navigate the crowded terminals,” the company said. 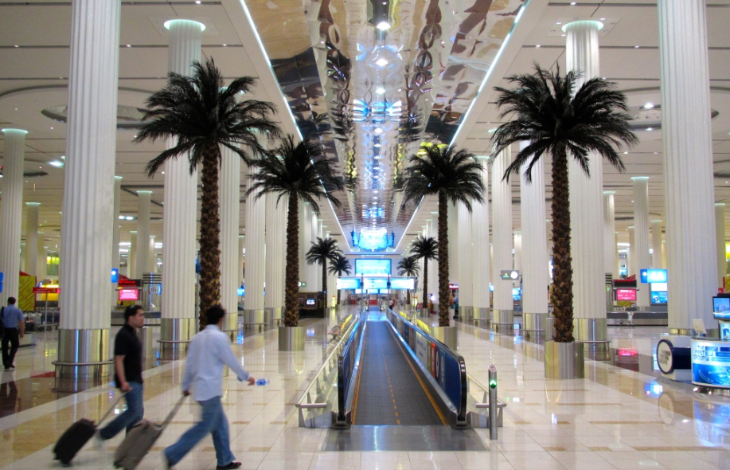 In many cases, it’s more about the airport terminal than the airport overall. For example, the new TBIT International terminal at LAX is awesome, but the rest of the airport leaves a lot to be desired. And anyone who has flown Southwest via SFO’s slouchy (now under renovation) Terminal 1 should know that it’s a far cry from the world class Terminal 2 or United’s nice T3E boarding area. 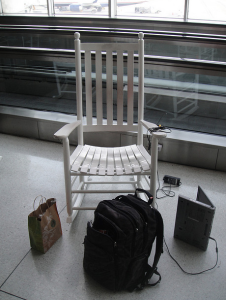 Same goes for JFK- some terminals (like Delta’s new T4) are nice, others not so much. Readers, do you agree with J.D. Power’s poll results? Which airport do you consider the best or worst, and why? Filed Under: Airports Tagged With: airports, Atlanta, Cleveland, customer satisfaction, J.D. Power, LaGuardia, Los Angeles, PDX, Portland, rankings, score, survey, Tampa, U.S.
Of those who do use the apps, only 17 percent said they do so daily or weekly, while 26 percent use them at least once a month and 56 percent do so less frequently than that. Why? 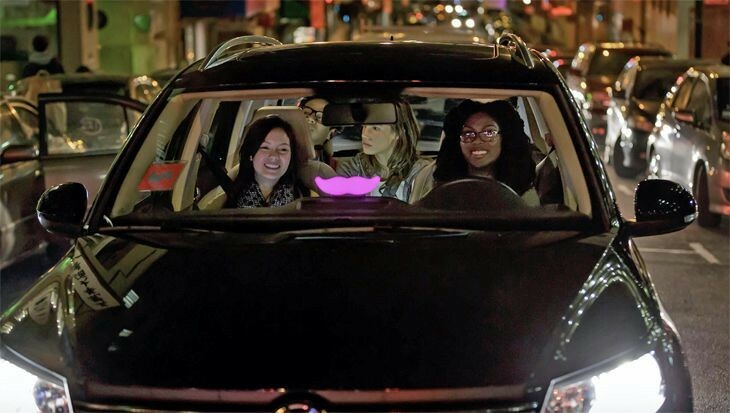 Pew says “With some exceptions, they are largely only available in and around urban areas.” It notes, not surprisingly, that Uber or Lyft are most popular among young adults, urbanites and college grads. 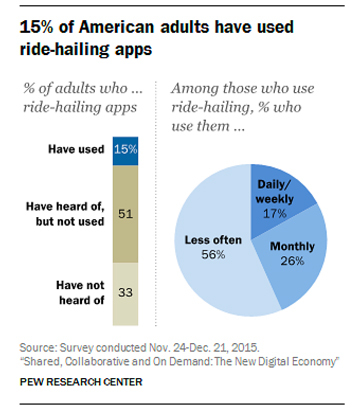 Check out the Pew Survey here for some more enlightening numbers about the use of ride hailing services. In related news this week Uber rolled out a new app for business customers – and it’s not for smartphones. Instead, it’s for tablet computers. It’s called UberCENTRAL, and companies can use it to order rides for their customers, clients and guests. The app can handle multiple ride requests simultaneously, and provides for payment by the company and centralized billing and reporting from different locations. When a company orders a ride for a customer, that person will receive a text message informing them of the trip and driver, along with a link to a live map to facilitate pick-ups. 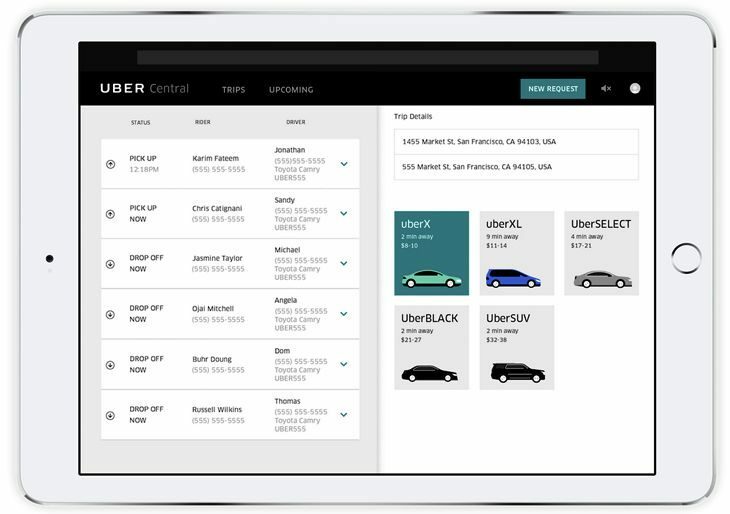 The company said UberCENTRAL works on any tablet and with any browser, and it is now available for use in the U.S. and Canada. In other ground transportation news, JetBlue said this week that its new Silicon Valley-based venture capital subsidiary, JetBlue Technology Ventures, is putting money into a four-year-old tech star-up called Mozio. JetBlue said the San Francisco-based company’s mission “is to build the ultimate urban mobility app,” one that allows consumers to book shuttles, taxis, limos, express trains, buses and public transit from one interface. Have you ever moved your business away from one airline to another that had better in-flight Wi-Fi service? According to a new survey, an increasing number of travelers are doing just that. 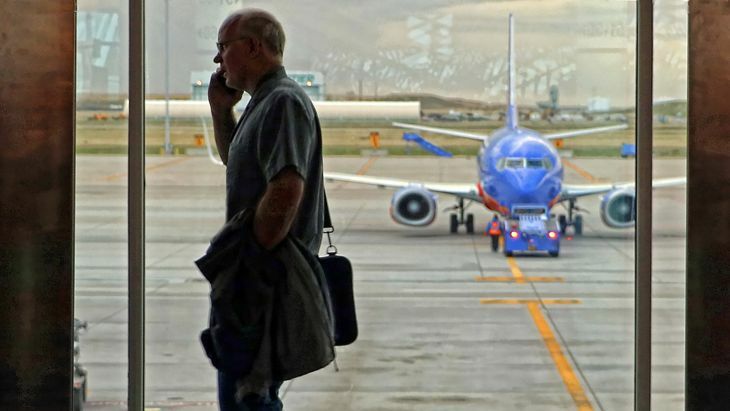 The poll of more than 1,000 U.S. air travelers, conducted by Honeywell, uncovered a growing dissatisfaction with current Wi-Fi service, and rising expectations for faster, more reliable in-flight Internet connections. 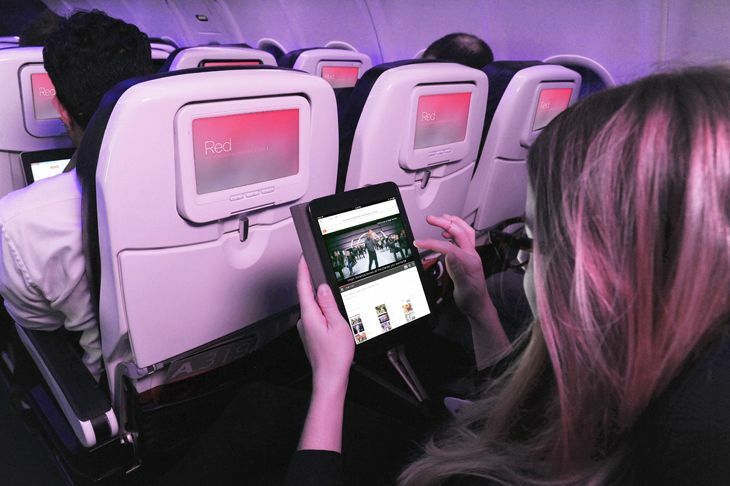 “Passengers are serious about getting the best in-flight Wi-Fi experience possible. 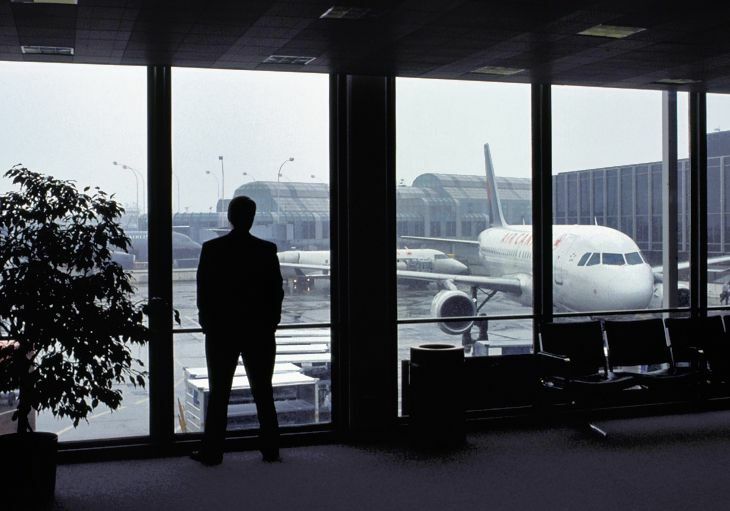 To avoid losing passengers and revenue, airlines need a connectivity service that is reliable all the time, no matter where they fly,” said Carl Esposito, vice president, Marketing and Product Management, Honeywell Aerospace, which supplies airlines with wi-fi systems. 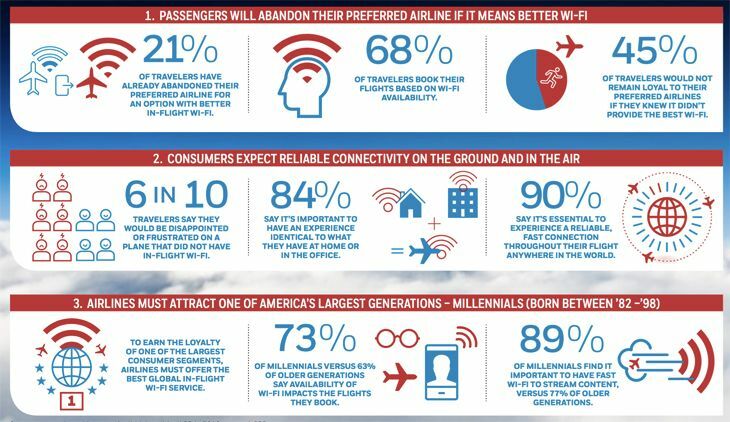 Almost three out of four passengers said they would switch airlines to get a better Wi-Fi link – and 21 percent said they have already done so, giving up on their preferred carrier for another with better service (up from 17 percent in a similar 2014 poll). Only 22 percent said their in-flight Wi-Fi was “extremely reliable” over the past year, compared with 27 percent who said so in 2014. What kind of quality are travelers looking for? Eighty-three percent said in-flight Wi-Fi should be fast enough to stream video content from sites like Youtube and Netflix; 90 percent feel they should be able to get a reliable Internet link throughout their flight anywhere in the world; and 84 percent said they want a Wi-Fi signal that is as good as what they have at home or in their office. As you might expect, in-flight Wi-Fi quality is more important to Millennial travelers (born between 1982-1998) than their older counterparts, with a larger percentage of Millennials (27 percent, vs. 15 percent of older flyers) reporting that they have switched carriers for a better experience, and requiring speeds fast enough for content streaming (89 percent vs. 77 percent). Readers: Rate your overall inflight wi-fi experiences over the last year in the comments! 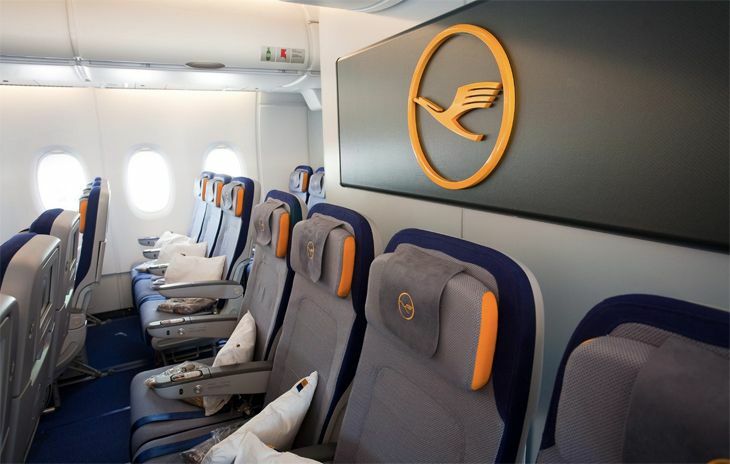 What are your odds of scoring the frequent flyer award seats you want, on the dates you want? The odds change over time, but the latest (i.e., 2016) annual study of availability by IdeaWorks Company and Switchfly suggests that Delta SkyMiles members are seeing significantly better odds this year, while availability declined on Alaska, United and especially American. But among the U.S. carriers covered in the survey, Southwest’s award seat availability was head and shoulders above everyone else’s, with JetBlue running second. 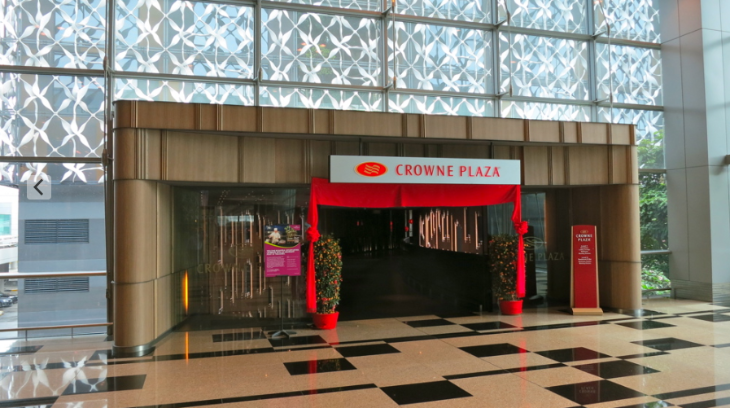 The survey team made more than 7,000 queries during March for at least two roundtrip award seats on the websites of 25 airline loyalty programs worldwide. 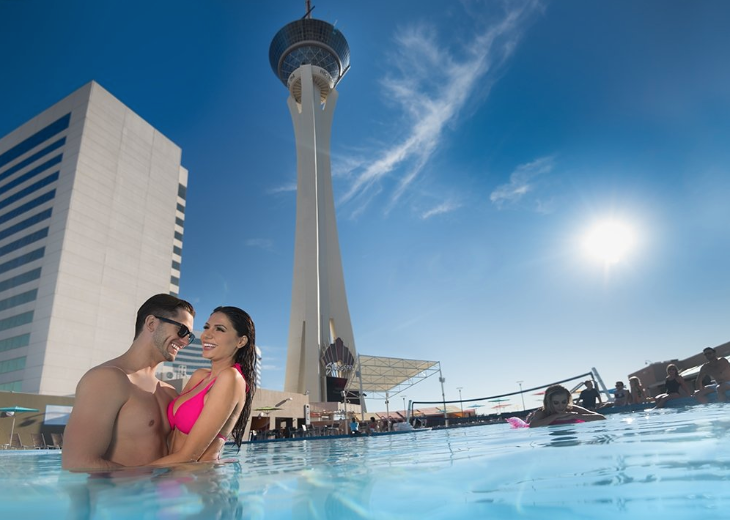 They requested travel on dates from June through October, looking for the lowest-priced (i.e. “saver style”) award seats. 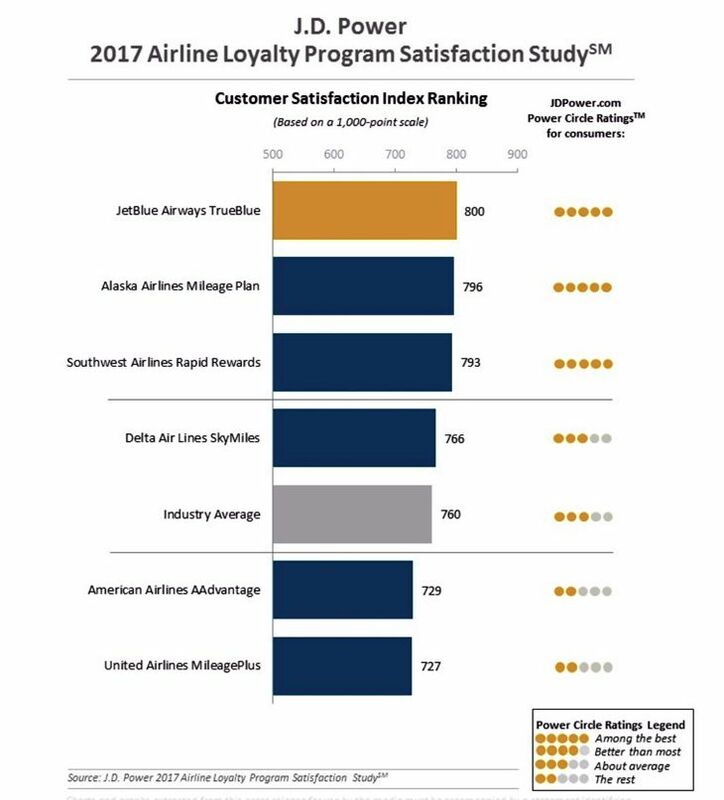 As for other large U.S. carriers, the success rate on queries to Delta was 68.6 percent, an improvement of 10.7 points over the 2015 survey. The comparable rate on United was 72.1 percent, down 2.9 points. For Alaska it was 72.9 percent, down 7.1 points. And for American, the success rate was just 56.4 percent, a drop of 10.7 percent from 2015. Virgin America was not included in the study. 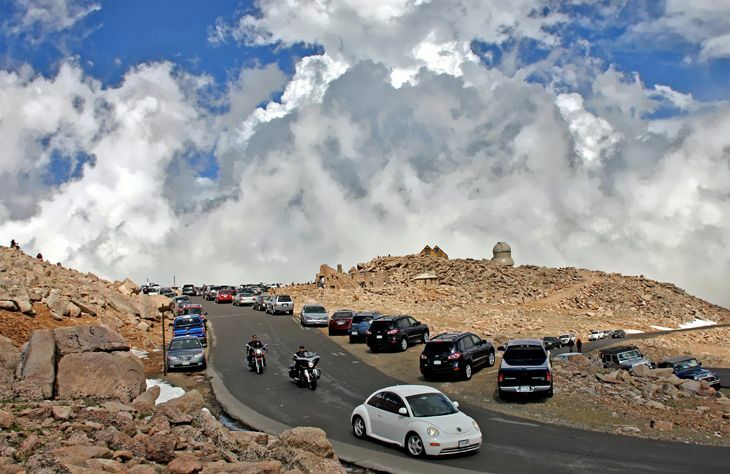 The report noted that availability varies considerably based on the month of travel. For 2016, the best availability was in September (84.3 percent) and October (84.8 percent), while the worst was in July (53.1 percent). It also observed that long-haul rewards can be especially elusive in the summer months. “Some airlines radically reduce reward inventory for long-haul travel during June, July and August. This is often a major source of member frustration,” the report said. 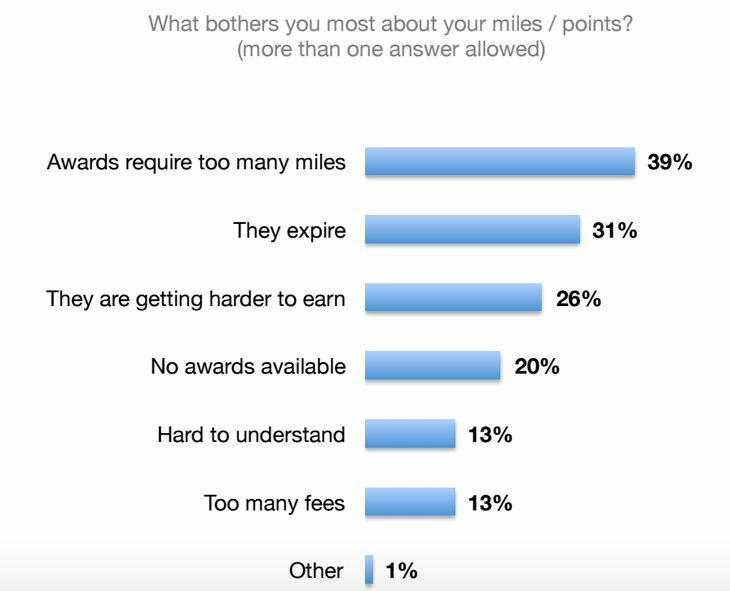 Readers: Is it getting easier to use you miles and points….or not? Please leave your comments below. Are passengers really happy with air travel? Is U.S. airline service getting better? Or are passengers just becoming more resigned to things as they are? According to J.D. Power’s just-released 2016 North American Airline Satisfaction Survey, respondents’ satisfaction with their air travel experience is at a 10-year high, reaching an overall score of 726 on the company’s 1,000-point scale, up 9 points from last year. But it also noted that a 12-point improvement this year in satisfaction with costs and fees is partly due to the fact that “passengers are more tolerant of paying ancillary fees such as baggage fees or fees for extra legroom.” It also noted that the score for in-flight services (650) is still “the lowest-scoring factor overall” in satisfaction levels; other factors include costs and fees, boarding/deplaning/baggage, flight crew, aircraft, check-in and the reservations process. 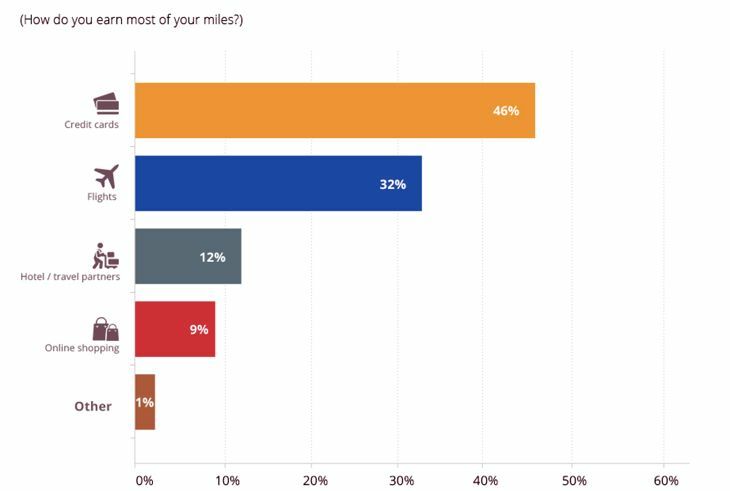 The survey splits airlines into “traditional” carriers and “low-cost” carriers, although the distinctions don’t seem as significant as they once did (and for some reason, it does not include Virgin America or Spirit Airlines in the survey). 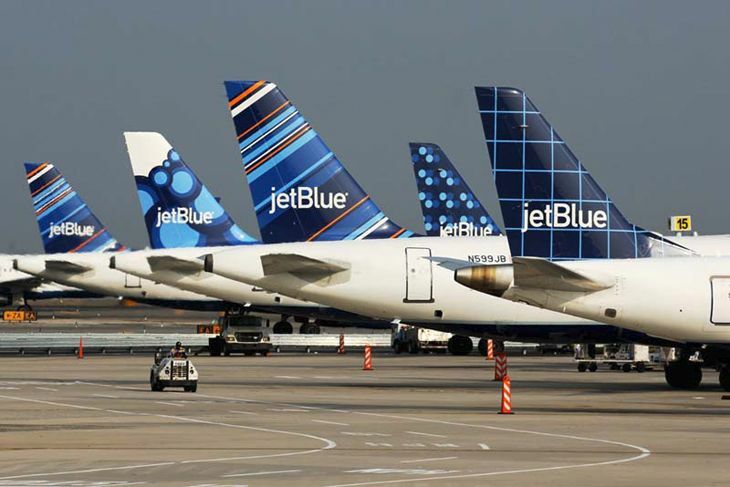 Once again, “low-cost” carriers got the highest overall scores, with JetBlue in first place with 790 – its 12th year at the top of the J.D. Power charts. Southwest scored 789. The highest score for a “traditional” carrier was Alaska at 751. United had the lowest score among traditional airlines at 675, while Frontier ranked at the bottom in the low-cost category at 662. 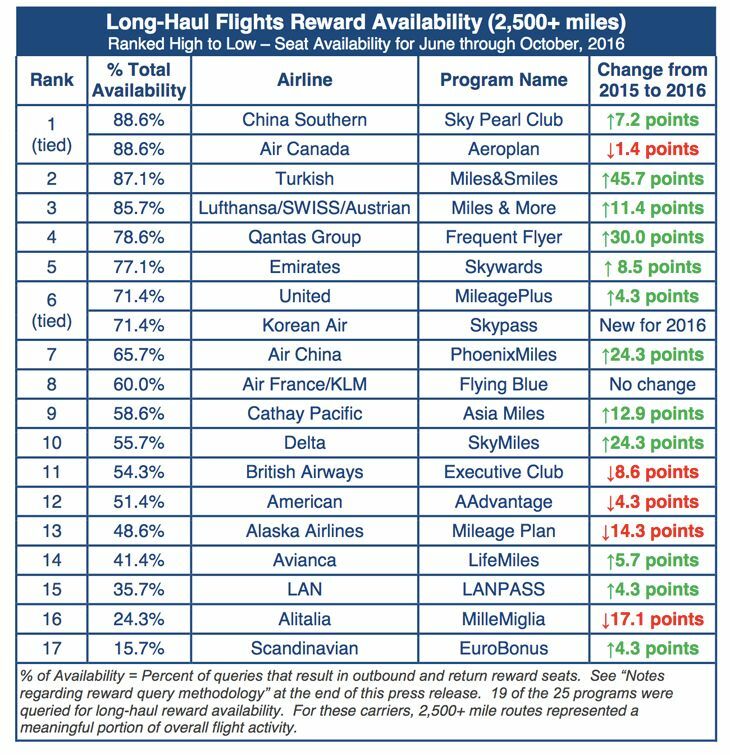 In a companion survey on airline loyalty programs – which did not divide the airlines into two categories — the same airlines dominated the results, with Alaska’s Mileage Plan earning the highest score (757) for the third year in a row, followed by Southwest’s Rapid Rewards at 754 and JetBlue’s TrueBlue at 743. 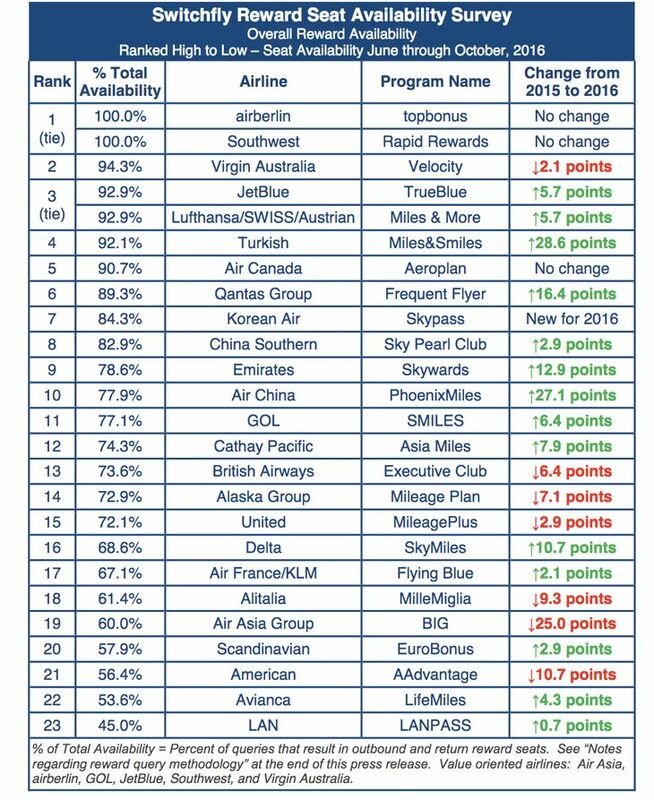 United also took the bottom spot in the loyalty survey, with Mileage Plus earning a score of 673. J.D. 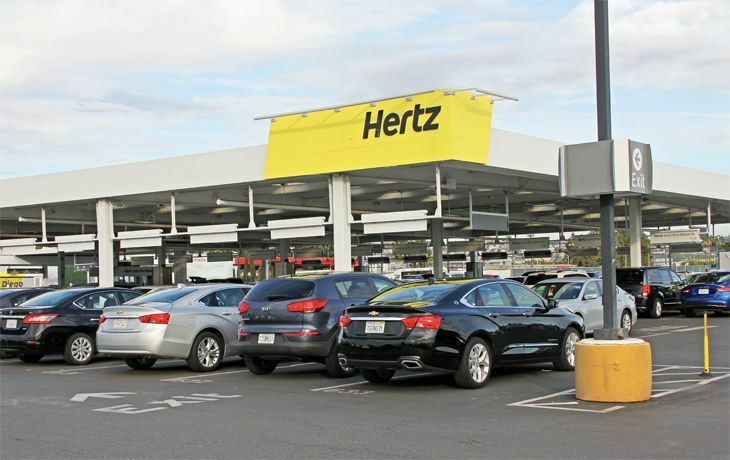 Power recognized that loyalty programs at major carriers are changing from mileage-based to spending-based schemes, although it didn’t ask respondents what they thought about that. 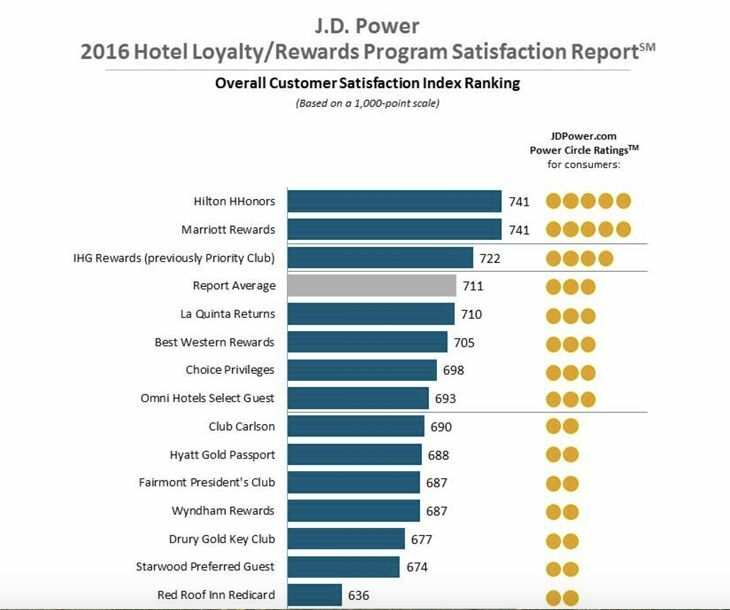 It said the most significant factor for travelers in rating loyalty programs is still the ease of redeeming points/miles. 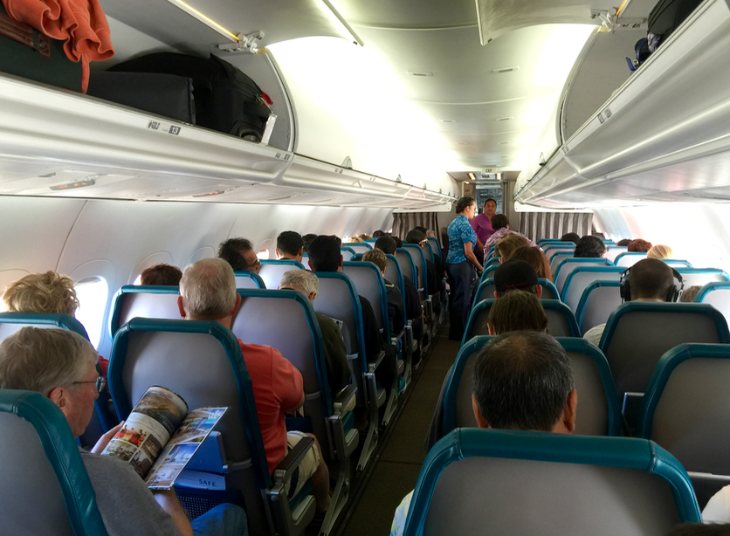 What do you think about the airline survey, readers? Are J.D. Power surveys worth reporting on? A new consumer survey finds that Americans love the air travel experience – they even love all those fees! 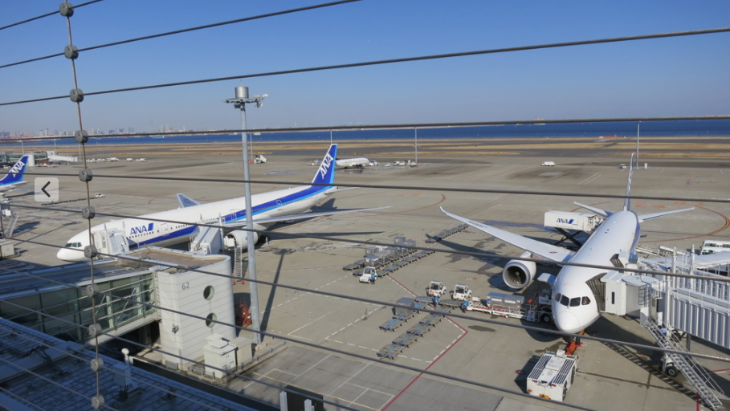 A4A said its online survey of more than 3,000 consumers found that fully 80 percent of them “are satisfied or very satisfied with air travel.” Only six percent were somewhat dissatisfied or very dissatisfied, A4A said. That seems pretty low based on the mountain of complaints we get at TravelSkills, but we are probably lightning rods when it comes to complaints. When queried about the old air fare system where most things were included in the price vs. the new “a la carte pricing” system where most things carry an extra fee, “two-thirds of travelers said they prefer to pay only for the items and services they want ‘so my ticket ends up being less expensive.’” Was that how they phrased the survey question? If so, it just goes to show how easily a pollster can get the results he or she wants. 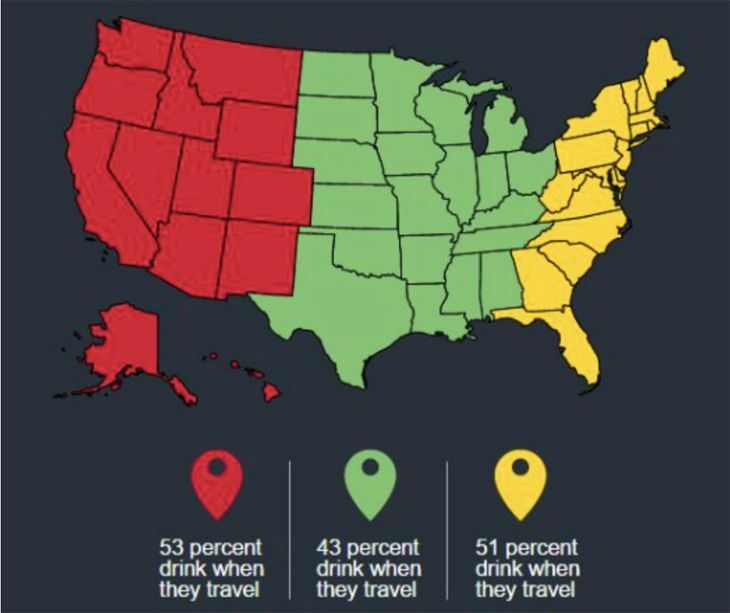 It’s important to note that this was not a survey of business travelers but a broad cross-section of the public, and A4A said that only 45 percent of U.S. adults traveled by air in the past year (although 81 percent had done so sometime in their lives). The survey group covered all the demographic bases, and 86 percent of them said that price is the biggest single factor in their decision to fly instead of using another form of transportation or staying home. 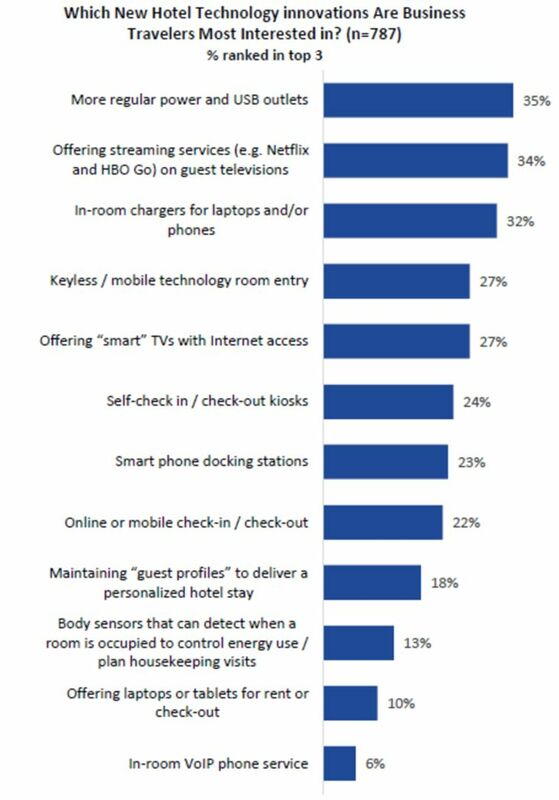 By contrast, the majority (57 percent) of “road warriors” in the survey (i.e., those who fly 12 or more times a year) said their biggest concerns are comfort and inflight options such as seat outlets, wi-fi and entertainment, in addition to logistics – airline schedules and routes. The increasing affordability of air travel has indeed led to a sort of democratization of the skies, the survey found: Whereas business trips accounted for 47 percent of all air travel 20 years ago, A4A said, that number has now dropped to 31 percent. Everyone else is flying for personal or leisure purposes. Apparently the survey didn’t give respondents a chance to evaluate the things they might not like about the air travel experience. It provided no data about respondents’ opinions on seat size, service quality, airport lines and so on. Nor did it address the inevitable results of cramming a cross-section of society into cramped seats in a metal tube for a few hours: Google the term “air rage” and you’ll get more than 3.4 million search results. Or just bring up the topic at your next cocktail party and you’ll stir up plenty of prattle! 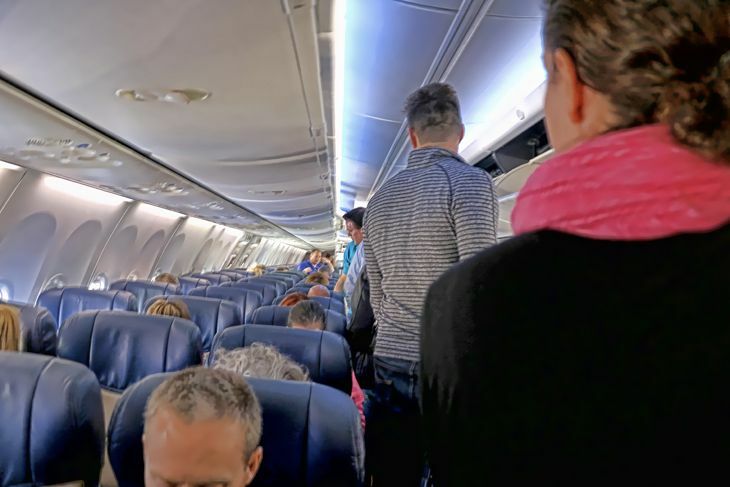 Consumer complaints to the Transportation Department about air travel jumped 34 percent last year, but FAA reauthorization legislation currently in the Senate tacked on only a few modest provisions to make life easier for travelers, according to the Atlanta Journal-Constitution. More significant reforms, like defining acceptable seat dimensions and requiring airlines to justify all those fees, were rejected. Senate majority leader Mitch McConnell (R-Ky.) commented: “I know there are some who think we should go further and re-regulate the airline industry, but we know deregulation has helped make air travel more accessible and more affordable for families and business travelers.” He sounded very much like an A4A press release. Let’s take a TravelSkills poll and see how our view of the airline experience stacks up against the A4A findings. 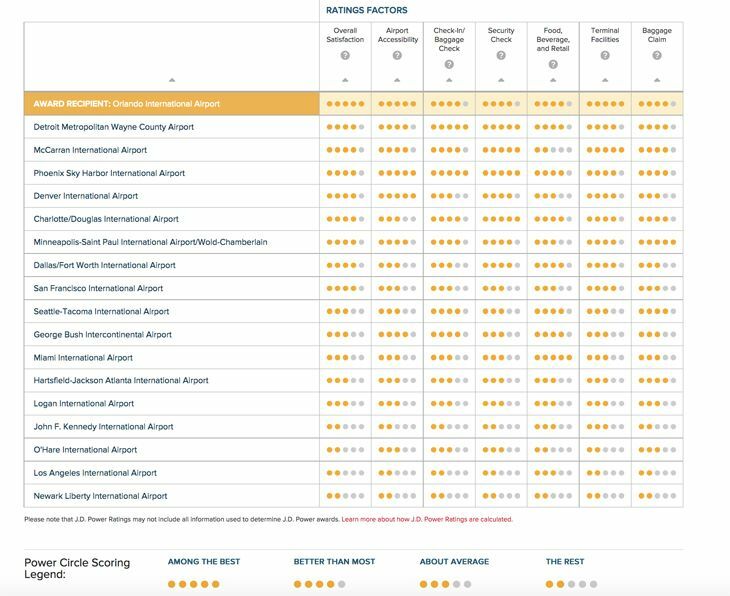 How would you rate your satisfaction with airlines? How would you rate your satisfaction with the current air travel experience? 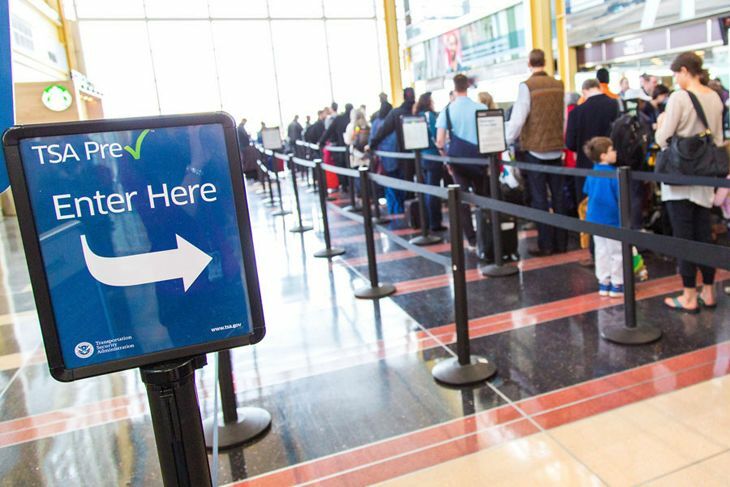 A new survey of business travelers confirms what many already know: That enrolling in the Transportation Security Administration’s PreCheck program makes life a lot easier. That mirrors the results of our own recent reader survey, which gave positive marks to PreCheck from those who belong to it. 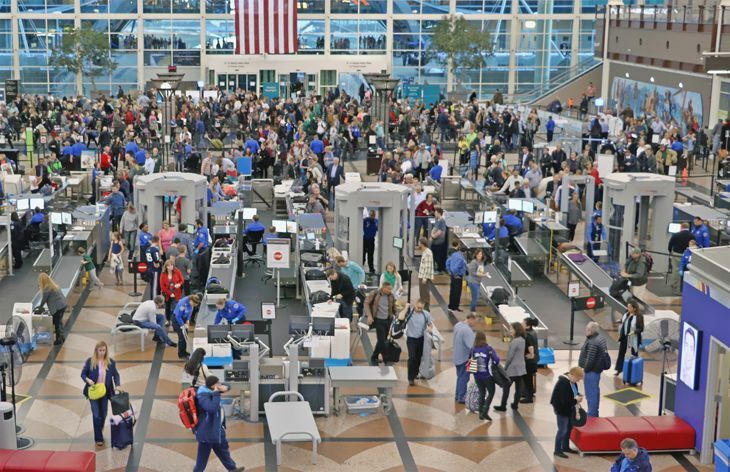 The new survey, from the Global Business Travel Association, finds that PreCheck membership impacts not only a road warrior’s satisfaction with the airport security experience, but also with his or her flight. 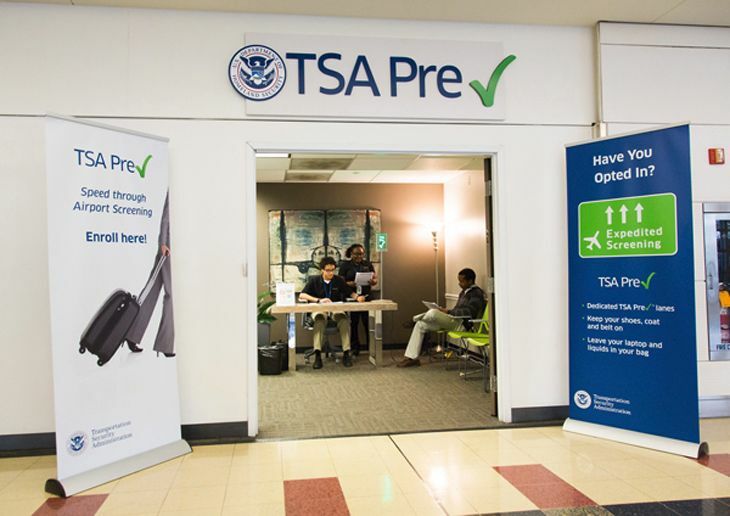 It found that fully two-thirds of travelers enrolled in PreCheck expressed satisfaction with the way they moved through airport security, vs. only 47 percent who do not belong to the expedited screening program. Two-thirds of PreCheck enrollees also expressed satisfaction with their flight experience, vs. 54 percent of non-members. Of the surveyed business travelers who are already in PreCheck, those age 55-plus showed a much greater participation rate than others: 51 percent of those Boomer travelers are in PreCheck, compared with 37 percent of GenXers (age 35-54) and only 32 percent of Millennials (18-34). 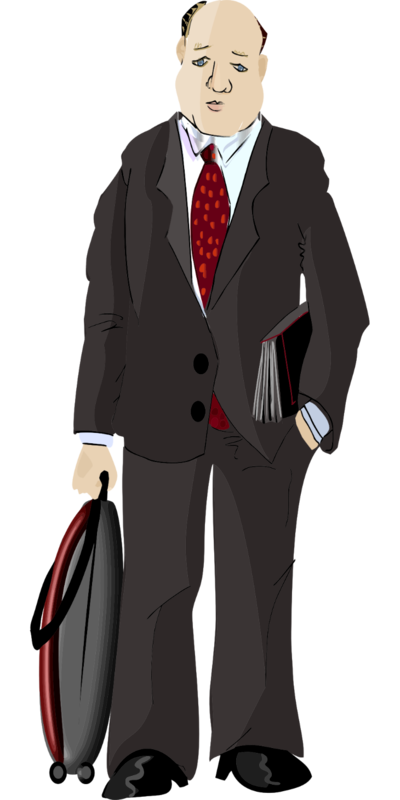 On other subjects, the poll found that business travelers are increasingly satisfied with the formerly odious task of expense reporting, no doubt thanks to the adoption of digital tools for that task by their employers. 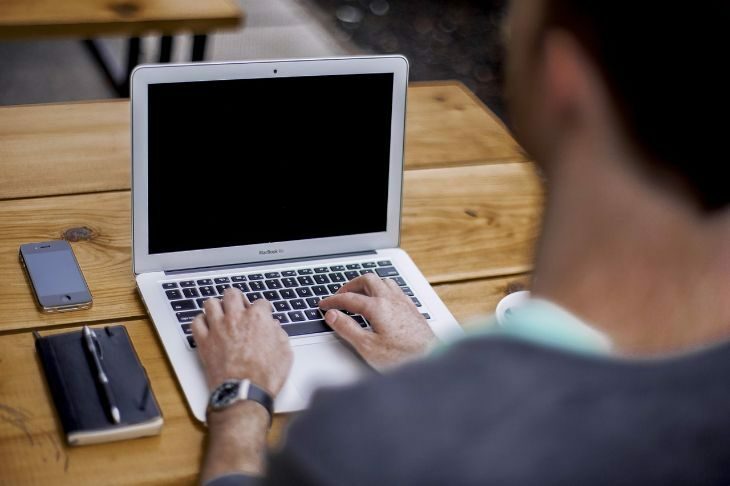 Surprisingly, Boomers seem to be adapting to the new electronic expense reporting environment better than the supposedly tech-savvy younger crowd. 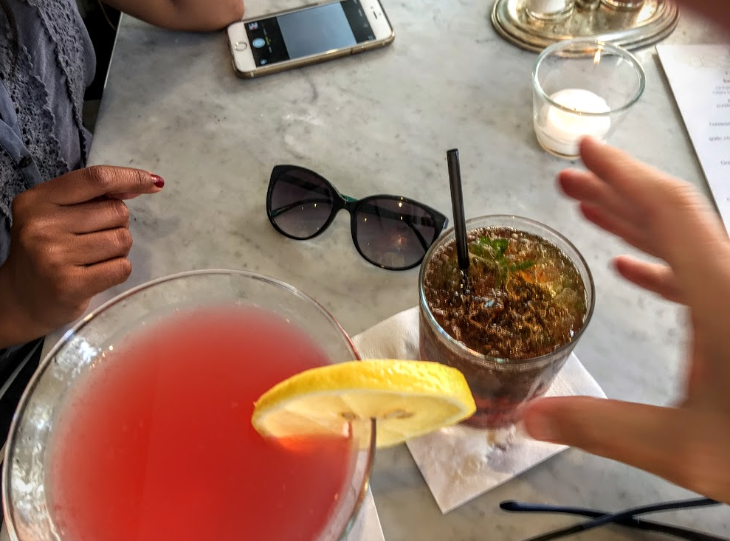 Four-fifths of Boomer business travelers said they were very satisfied with the way they keep track of receipts, and 74 percent said the same about expense reporting; for Millennials, the comparable figures were 59 percent and 55 percent. 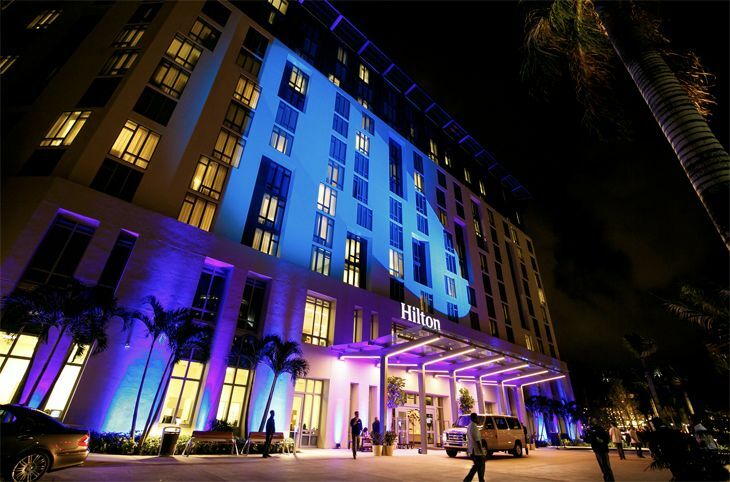 One thing the Millennial road warriors excel at is extending a business trip for leisure purposes: 43 percent of them said they had done so recently,. compared with about a third of Boomers and GenXers. 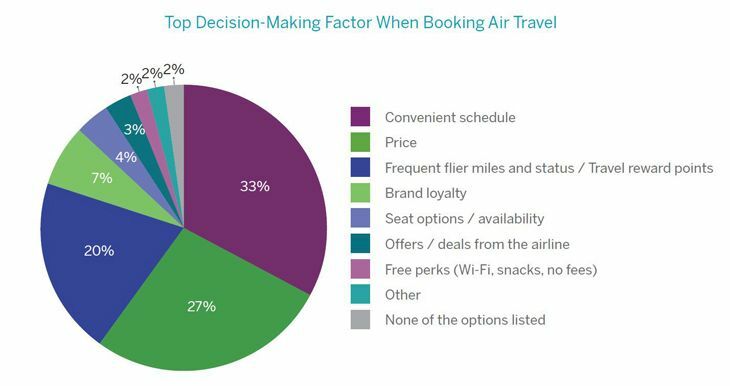 In other findings, GBTA said convenient scheduling continues to be the most important single factor in a business traveler’s selection and booking of flights, cited by 33 percent of those surveyed, with price in second place (27 percent) and frequent flyer program considerations in third (20 percent). 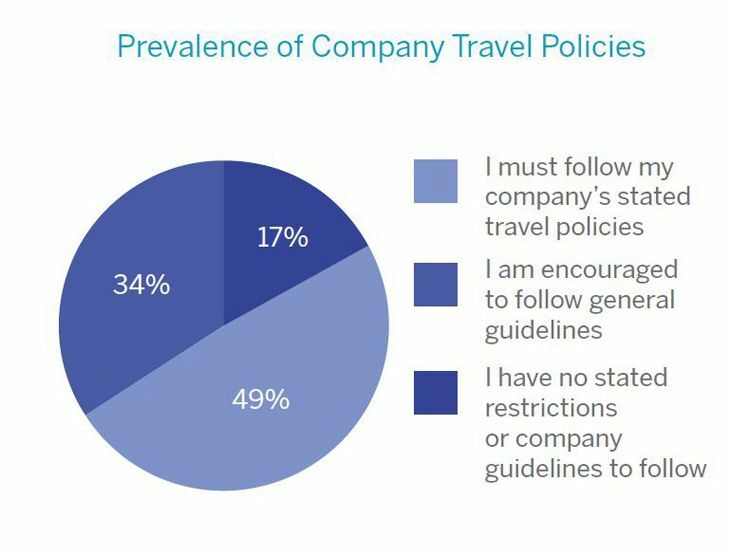 And almost half said that their company requires them to follow its travel policy guidelines when booking trips. As the year draws to a close, we’d like to thank you for your support and attention! TravelSkills has been getting bigger and better all year, adding helpful new content and also bringing on a lot of new readers (now more than 100,000 per month!). 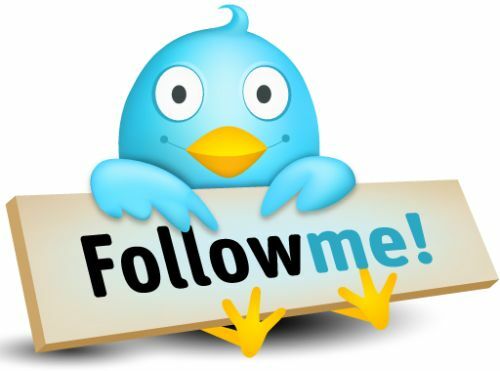 Looking into 2016, it’s time for us to approach potential advertisers. TravelSkills continues to provide you with free content because it is supported by advertisers, and we need to be able to show them just who our readers are. The link below will take you to a brief online survey about you and your travel habits. It’s just 14 quick questions and should take you no more than 3 minutes to complete. PLEASE help us by participating in this survey. 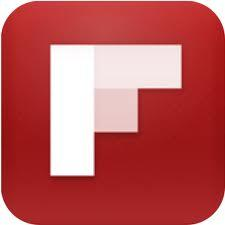 The more readers that respond, the better the data we’ll get to present to potential advertisers. Important: This is an anonymous survey… the information you provide is not associated with your name. It will not be used for anything other than to create a report on our reader demographics which we will share with you in a future post. Click here to take the TravelSkills survey. Thanks again for your time and your support. 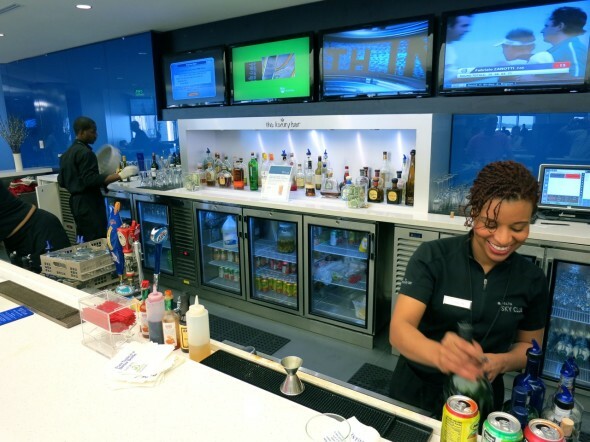 FEWER FREEBIES AT SKY CLUBS. 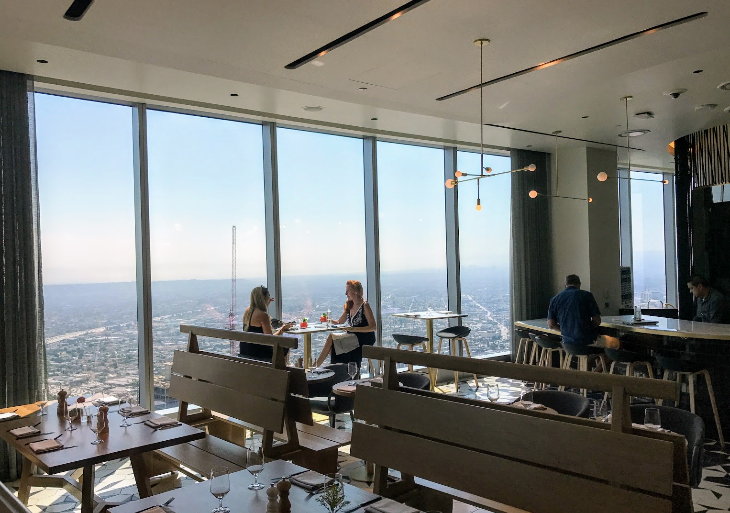 With little notice, Delta has moved several beverages from the Sky Club complimentary bar menu to the Luxury Bar pay menu. You’ll now be asked to pay for beers like Heineken or local brews, liqueurs such as Bailey’s and other popular pops. We contacted Delta to determine what it still offers at no charge at Sky Clubs and a spokesperson sent over this list of the free stuff: Vodka – Gordon’s; Gin – Gordon’s; Rum – Myers’s Platinum; Scotch – Scoresby; Bourbon – Jack Daniel’s; Sweet & Dry Vermouth – Martini & Rossi; Beer- Budweiser & Miller Lite; Wine- no changes. Delta also sent us the new Luxury Bar Menu, effective May 15. Which of your favorite adult beverages has disappeared from the “complimentary” list and what are the new prices? Please leave your comments below. Delta now operates from T4 and T2 at JFK. The old Pan Am Worldport will soon be gone. DELTA’S JFK EXTENSION. 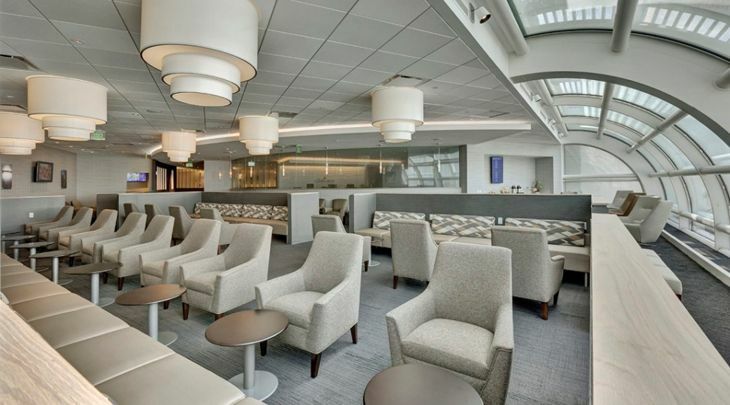 On May 24, Delta took the wraps off its new digs at New York- JFK, which will replace the now shuttered vintage Pan Am Worldport, or Terminal 3. Delta is currently demolishing that leaky old Mad-Men-era terminal to allow easier movement and more parking between terminals 2 and 4. 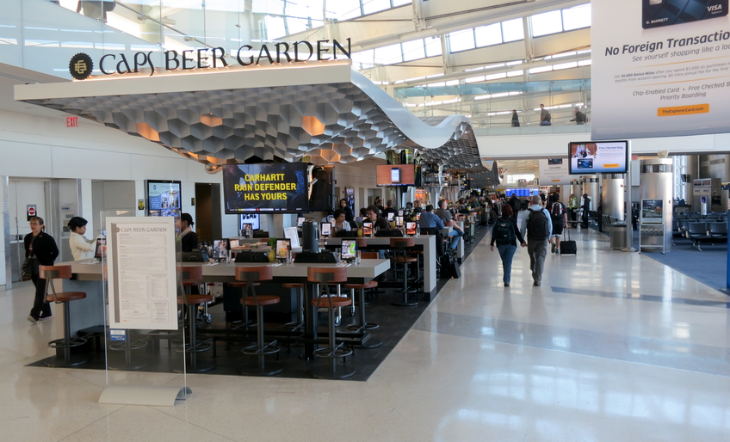 It’s important to note that Terminal 4 is not brand new—it’s been around since 2001– but Delta has completely remodeled and lengthened the B-side space adding nine new gates to the existing seven. The new terminal also features TSA PreCheck, something that many international terminals do not have presently. New dining options include an outpost of Manhattan’s favorite burger joint, Shake Shack. 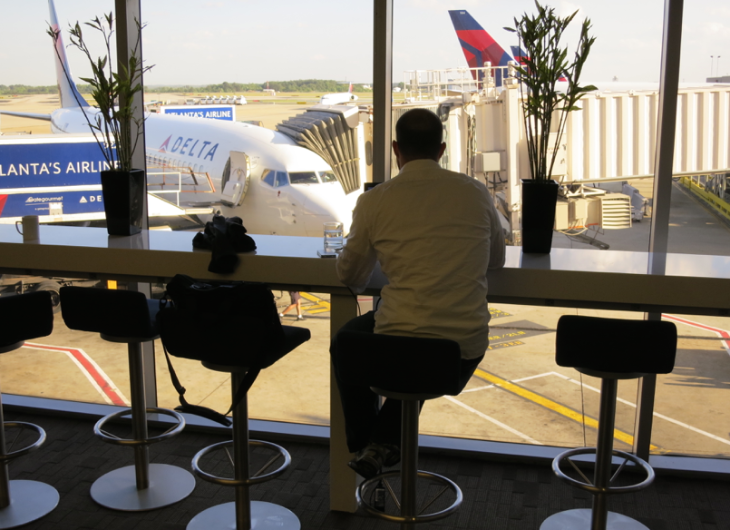 T4’s opening also gives Sky Club members their first look at a new SkyDeck, an open-air, glassed-walled terrace overlooking the tarmac—great for spotting all those exotic tails that float around JFK runways. 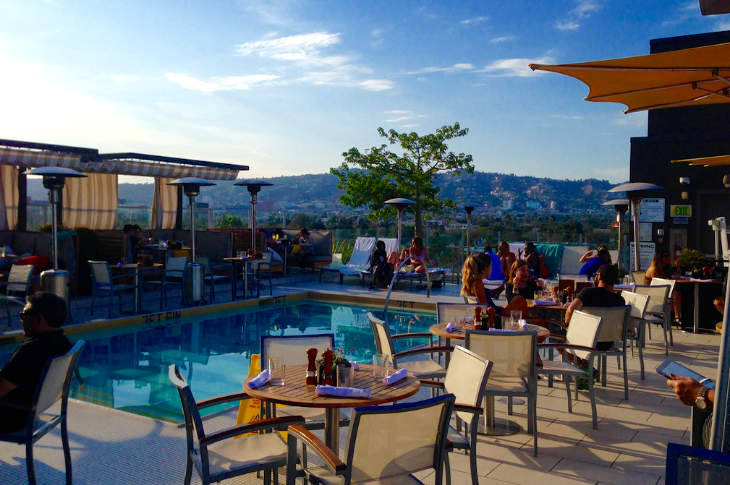 Outdoor seating and umbrellas are a great way to get some fresh air. 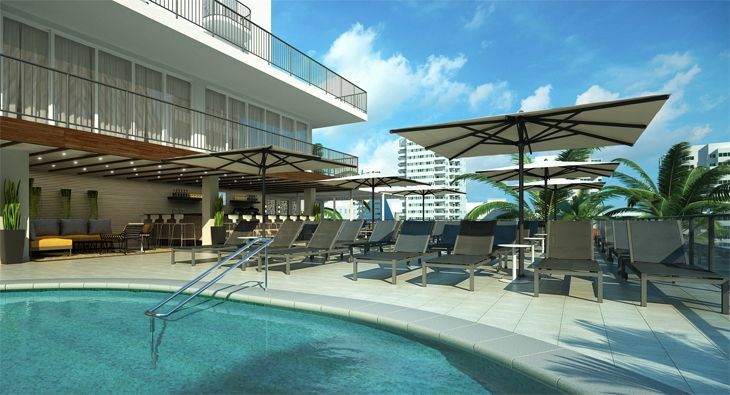 A similar SkyDeck will open later this year in Atlanta’s F concourse. The Sky Club at JFK’s T4 is now Delta’s largest. Many domestic flights and nearly all Delta Connection flights will continue to use Terminal 2 (JFK’s oldest), while most Delta transcons and all international flights will now use T4. 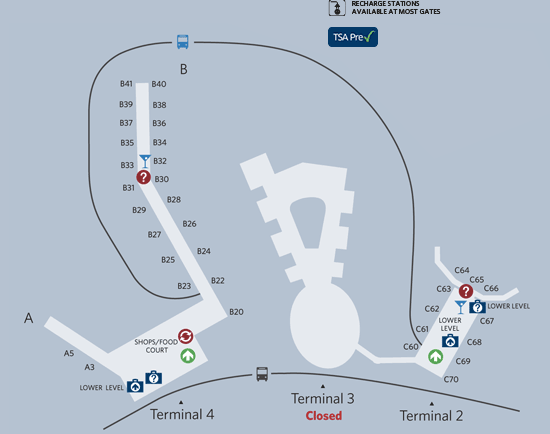 By 2015, Delta will add an additional 11 gates to T4. DELTA WAITS IT OUT. Earlier this month CEO Richard Anderson said that Delta is in no hurry to order new aircraft like the Boeing 737 Max or Airbus A320neo. He said Delta would rather have other airlines test them first to work through any kinks such as the recent battery issues exhibited by the new Boeing 787 Dreamliner. He said that not only does this allow for a more efficient rollout of aircraft within its fleet, but it also allows for more affordable pricing when it comes time to upgrade a fleet. Delta is, however, taking new Boeing 737-900s in the coming years, but these are already being flown by a number of airlines including United, Delta’s closest domestic rival at the moment. MORE PRECHECK AT ATL. 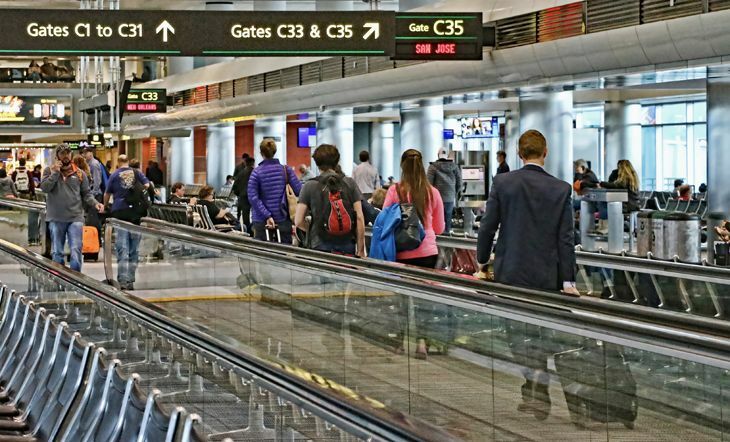 Atlanta’s north security checkpoint now has a TSA Pre-Check lane for expedited security. The north checkpoint is used primarily by non-Delta flyers, which means Southwest/AirTran travelers will eventually enjoy speedier access once it joins in on the PreCheck fun. Southwest will only say that it is working on getting into PreCheck…nothing certain yet. If it wants to compete with Delta for business travelers in Atlanta, it frankly needs to get on the stick and become part of PreCheck. Agree? 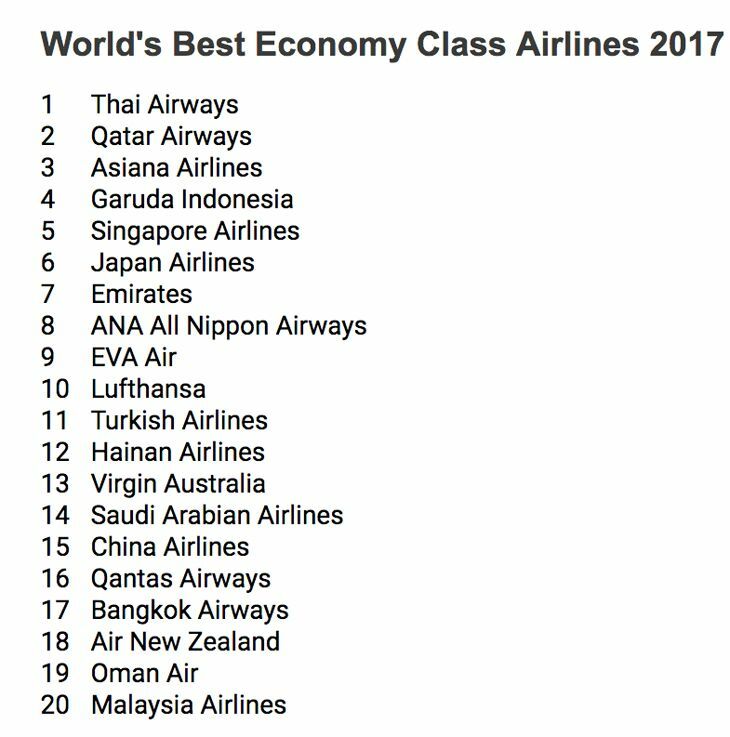 FLAWS IN RECENT AIRLINE SURVEY. IdeaWorks’ fourth annual survey of airline award seat availability ranked Delta dead last. But to be fair, we must point out that the survey only used airline websites to gauge availability, and we all know that Delta’s is pretty dismal when it comes to redemptions. IdeaWorks searched for two tickets on 280 different dates, at the restricted award levels. 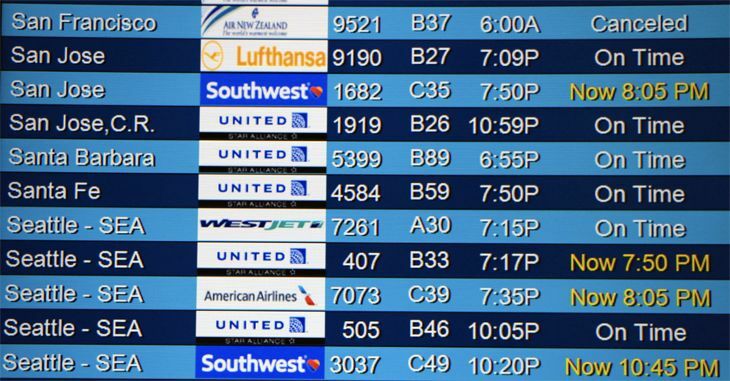 Southwest clocked in at first place, and Delta tied with US Airways for the worst among domestic airlines. 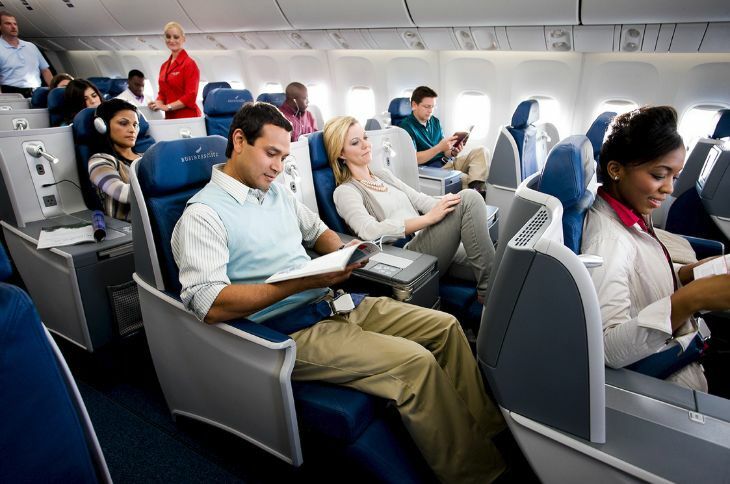 By picking up the phone (after doing significant research via other websites like AirFrance.us via its Flying Blue program), Delta flyers usually find much more open space. But, the survey does not reveal that. What was accurate and fair about the survey was that it ranks Delta much higher for close-in availability as award seats are often released more freely within two weeks of departure. ON THE OTHER HAND, KUDOS. 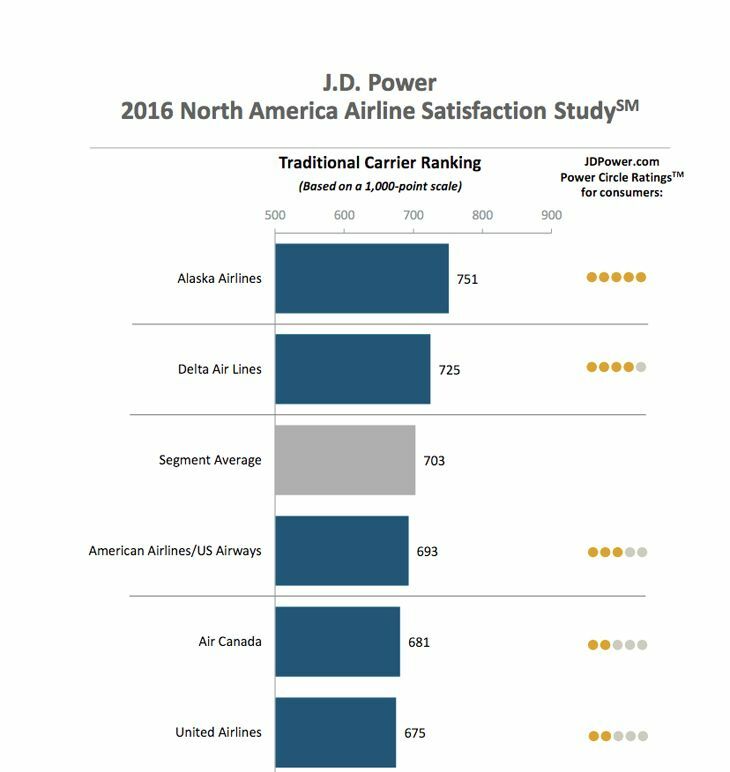 On a brighter note, Delta ranked as the top legacy carrier in the recent JD Power survey. 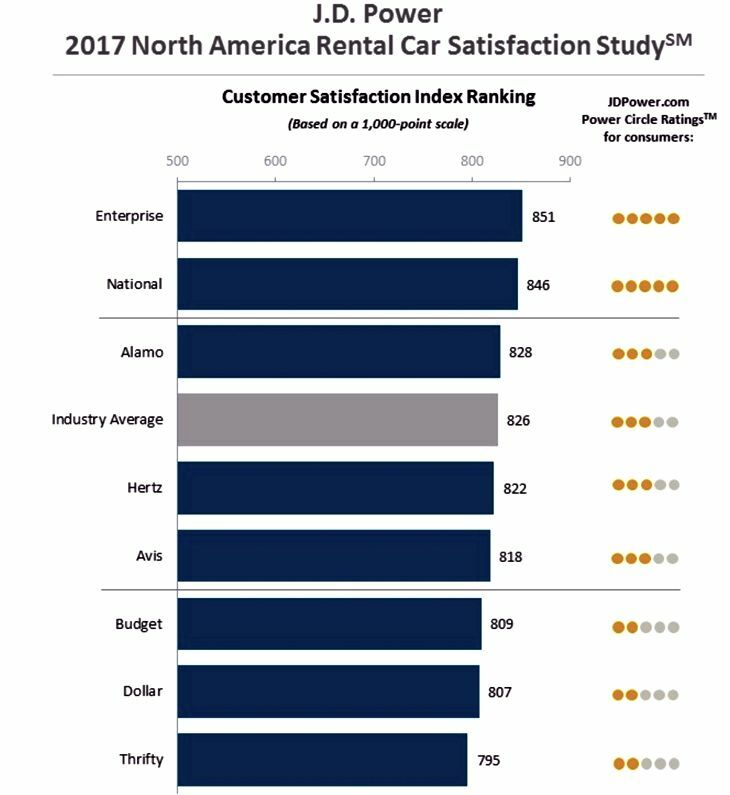 It also ranked second best (after Southwest) among majors in a recent Consumer Reports survey. It’s easy to pick on the dominant, hometown carrier…but compared to its peers, Delta’s sitting pretty these days.What do you think? Do Atlantans whine too much about Delta when they might have the best of the bunch in their own backyard? Please leave your comments below. THOUGHT DELTA WAS SNEAKY? 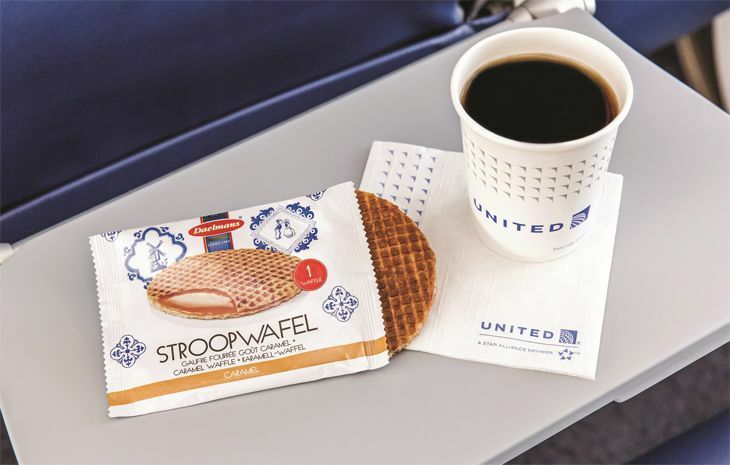 Delta is not the only airline monetizing its upgrade programs. 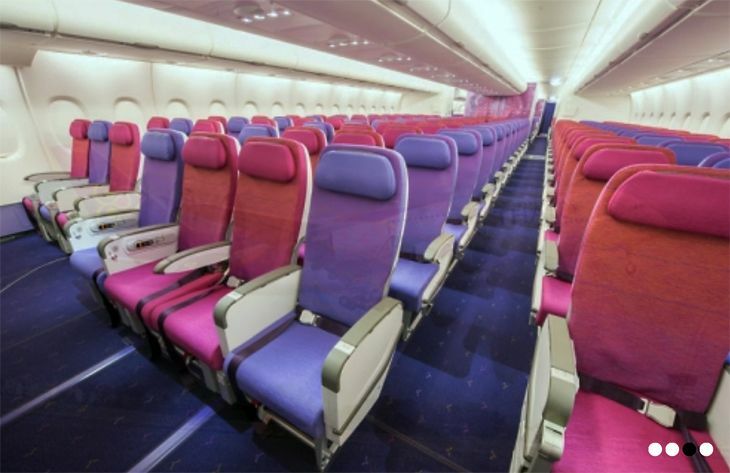 For example, passengers can bid how many miles or how much money they are willing to spend to upgrade on long flights. 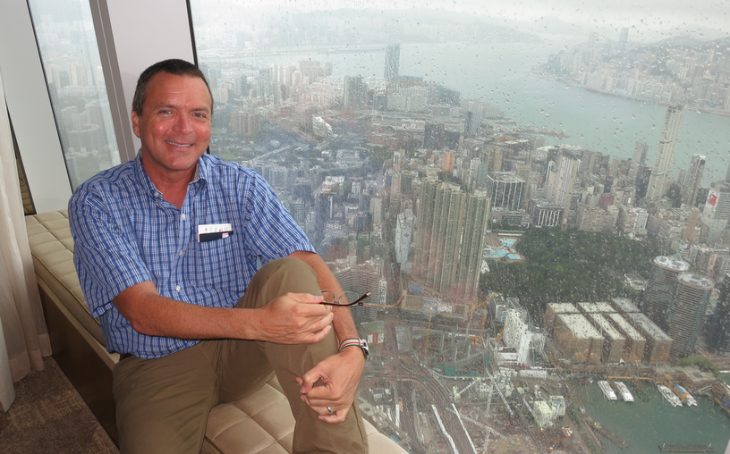 Air New Zealand, Austrian, Etihad, and Virgin Atlantic are all offering this type of program. 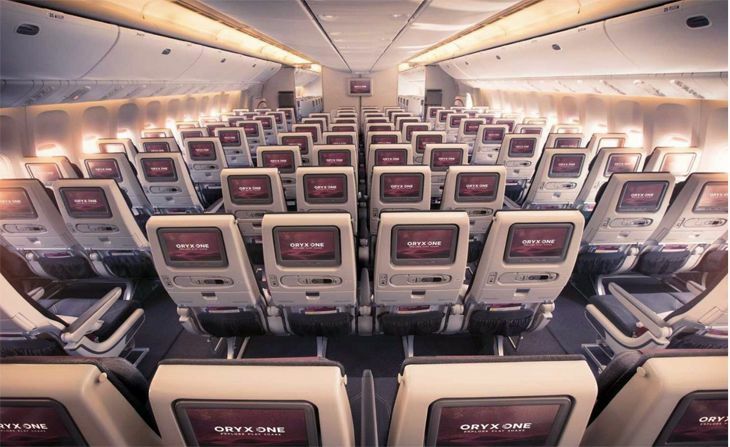 Customers can still use miles for business class seats, but this new auction system allows the demand to ratchet up the price on busy flights putting more money in the airline coffers. It also helps to fill seats that would otherwise go empty making low bidders quite happy (although the cheapest fares are often restricted). Could Delta be next? What do you think about such an idea? Please leave your comments below. NEW SOUTHWEST FLIGHTS. Atlanta will see additional Southwest flights to New Orleans, New York LaGuardia, St. Louis, West Palm Beach beginning Nov. 3. Also on that date, AirTran’s Atlanta to San Juan flight will switch to Southwest instead of an AirTran plane with business class. CURTAIN CALL FOR AIRTRAN BUSINESS CLASS. AirTran regulars may have noticed that there are no longer curtains between business and coach class. This removal is part of the alignment with the Southwest model and preparation for operating with a single cabin of service. 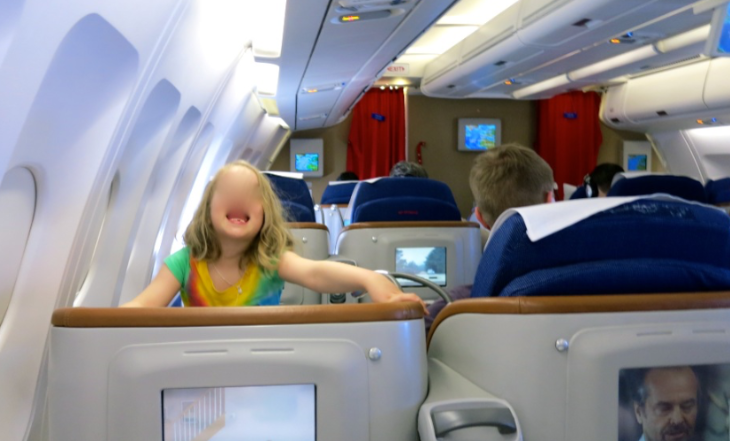 So its buh-bye business class…but at least it’s a long buh-bye! WE NEED YOUR HELP! Dearest Devoted TICKET readers: The TICKET needs more readers! Can you help us out? Please forward this link to at least three frequent traveling friends, travel agents, travel managers, travel bloggers and tell them why you love The TICKET and encourage them to sign up! THANKS! PLUS PORTLAND. MINUS SEATTLE. 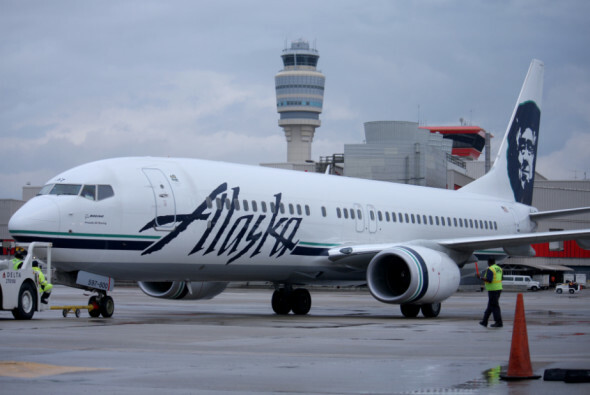 Delta partner Alaska Airlines will add a new Boeing 737-800 nonstop between ATL and Portland, Oregon on August 26. When the Portland-Atlanta route begins Aug. 26, Alaska Air will reduce its Seattle-Atlanta route to once daily. FLINT. With AirTran/Southwest out of the picture on the ATL-Flint, Michigan route, Delta is deploying a larger A319 on the route, adding 60 extra seats between the two cities starting in June. Delta is currently using an RJ on the route. With Delta as the only nonstop in the market, you can only guess which direction prices have gone recently….